My horrid internet. 160gb datacap (that's the highest my ISP currently allows, without paying $2 per gigabyte over your data cap). Even so. If you do pay $2 per gigabyte you wont experience any change in speed what so ever, And we'll be prunes by the time VDLS2+ gets to our doors. Zach my DAD pays about £30 a month that's Internet and calls. 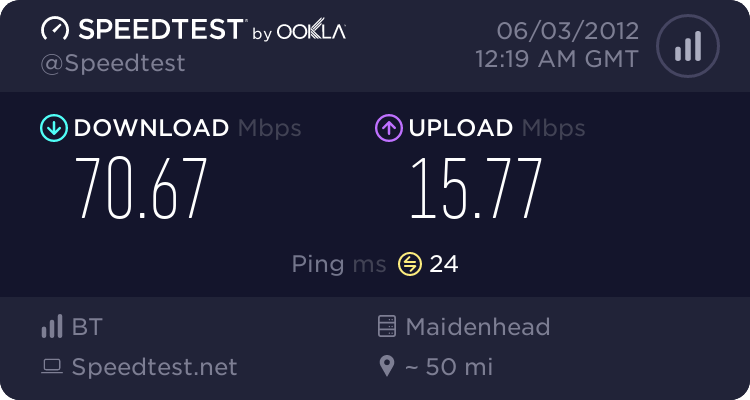 Am pretty impressed with my connection TBH thought someone would be faster. Also Cman the upgrade i want is not going to happen . 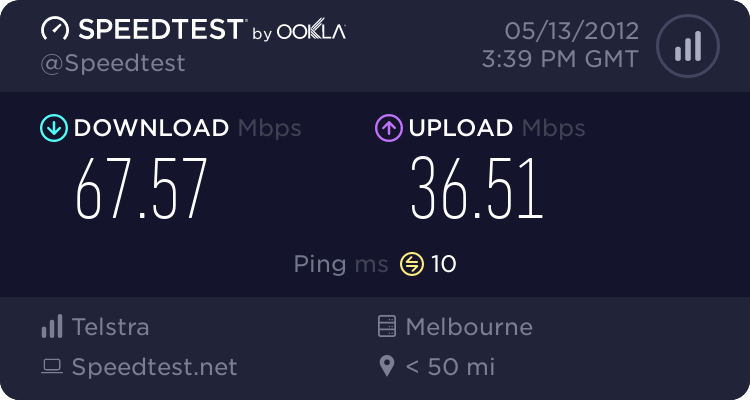 I am with TPG EBXXIV, it is $60AUD a month for unlimited ADSL2+. A friend on mine has download speeds of about 2.3-2.3Mb/s with it. 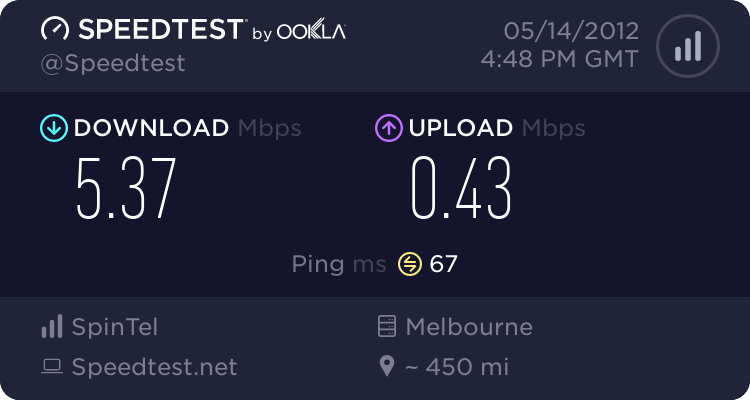 It looks like Australia really does need to catch up, all our cable services have a download limit and can get expensive. The best you can do is 1Tb a month for around $120+ if memory services me right. What? Try living with New Zealand internet mate. 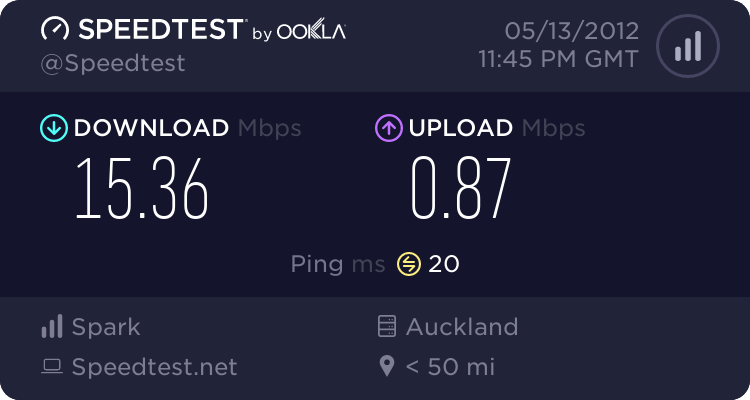 I pay 145NZD a month for a 160gb plan with sub 20mbps speeds. That is even worse! How much do you think you would download a month if you had no limit? A month, I normally download 250gb+. Once you go over the 160gb, they will slow your speeds down to dialup (64kpbs). But I've found a lil glitch in their system that allows me to keep downloading, but only at the end of the billing month, and only for about a day. 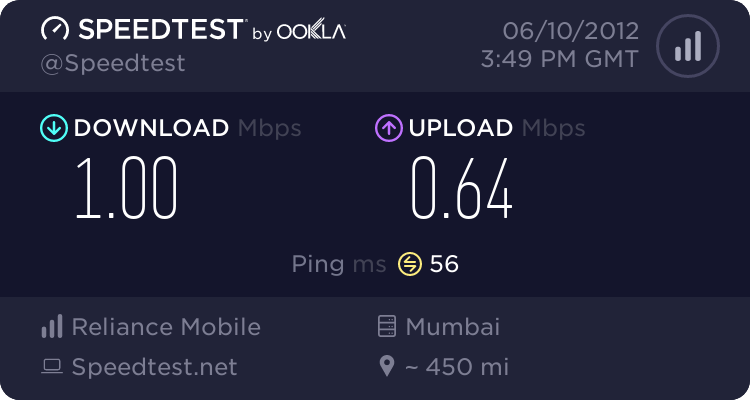 Will post my speed results once I stop downloading. not too bad tbh, we play games during the day and when everyone sleeps we download. 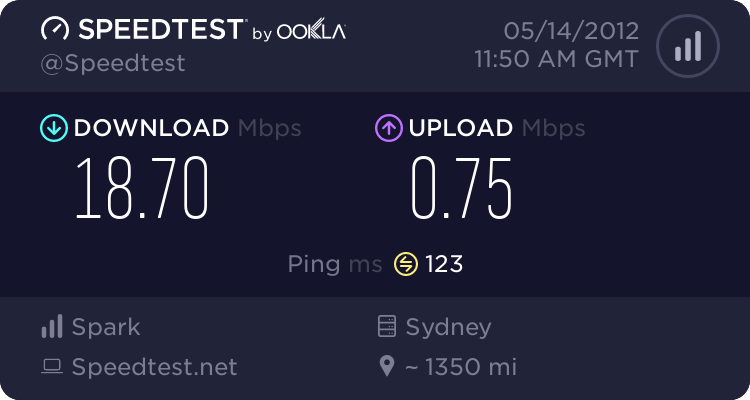 I work for Telstra so it makes sense for them to be using their own connection! What uni you live near? Clayton is my Last name ¬_¬. I might met you in RL. 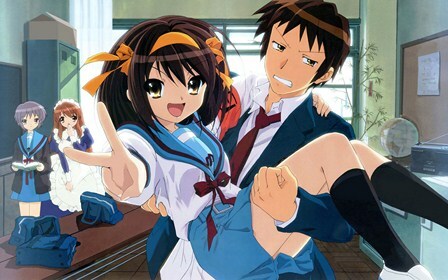 I am think of doing a Masters in Asian Studies there next year And if there is an anime club, so joining it! I am very happy with BT but I am pretty sure that there cap the internet speed intill after 12pm. I have always wondered if getting a new router will make my ping/speed better, like getting a router with a built in modem. As I'm sure the the home hub router I currently have is rubbish. I think it wouldn't hurt to upgrade your modem and router to something better than the BT standard. Also i don't think they do cap there internet speed for fiber optic, but they do cap P2P DL until after 12, so if your using it to play games and such then you get the full throughput you should get (what my dad said anyway maybe different for a home package). Does anyone who lives in apartments notice that their speed changes during the day because of the buildings bandwidth being used up? <3 fiber, such low latency. Upload is supposed to be at least 25Mbps, so I'll definitely be filing some complaints soon. But I only just got my fiber set up a few days ago and am not even paying for it yet, so I guess I'll give them a bit more time. Will probably be upgrading the fiber to 50Mbps soon if the speeds become as they advertise. It could be due to your distance from a DSLAM or the house wiring. That are the major drawbacks with many connections here. I have fiber-to-the-home. There is no DSLAM involved. Also the house wiring was tested thoroughly by myself. 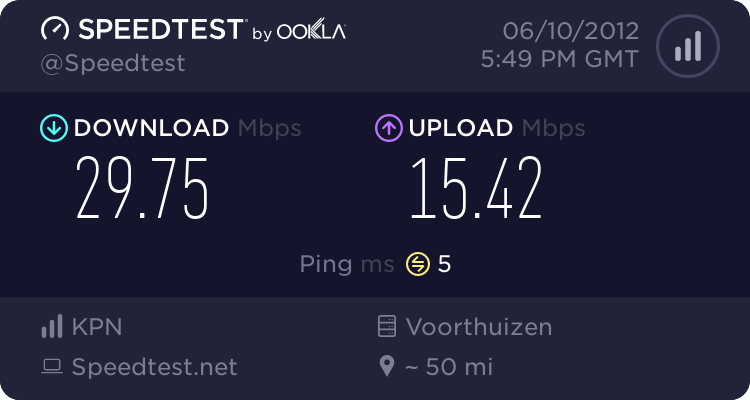 My speed is lower than advertised only because either my ISP is capping me on purpose (most probably by some mistake) or their backbone is lacking. That's of course since the hardware we use to receive/send light signals are still too slow. Fiber could theoretically be way... wayyyyyy faster still.